Extend high definition Y/Pb/Pr component video, stereo audio, RS-232, and IR up to 1,000 ft via CAT5 cables. 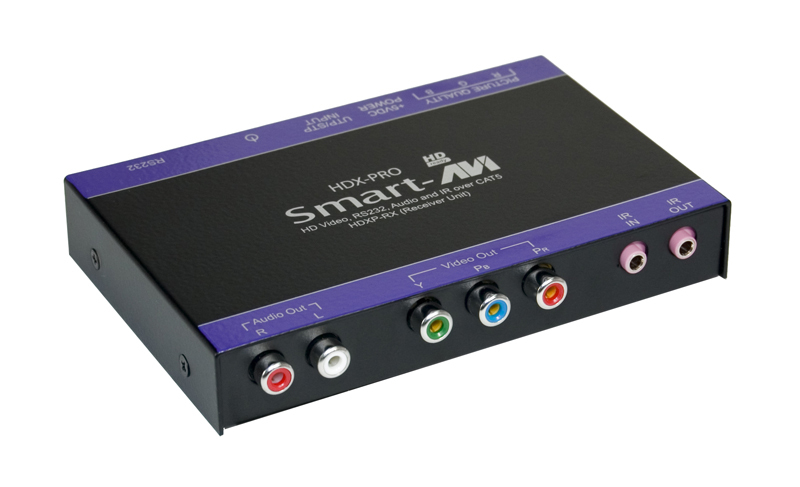 HDX-PRO a high-resolution HDTV and stereo audio extender component within SmartAVI’s HDControl product family geared specifically toward home theater owners and designers. Using small transmitter and receiver units, you can broadcast HD desktop video, stereo audio signals, infrared and RS-232 over unshielded twisted pair (UTP) cabling. 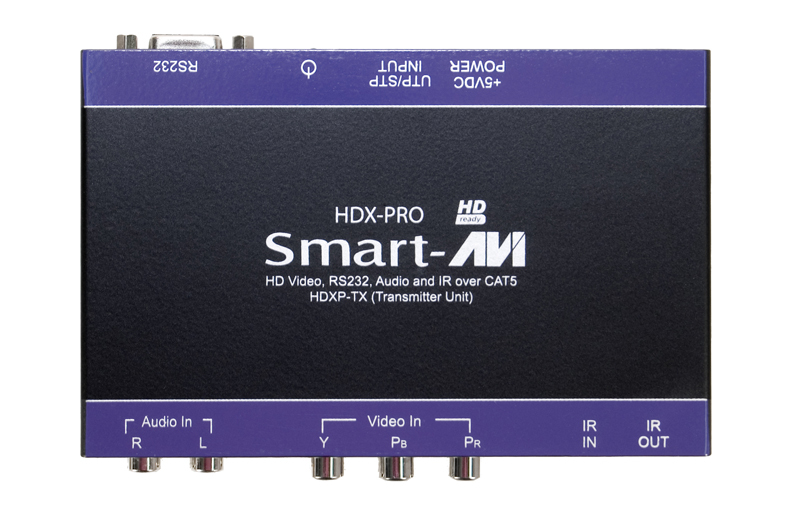 Using RS-232 and IR support, the HDX-PRO allows users to send commands such as volume control, channel viewing or power on/off, to single or multiple devices from remote locations. Take Control of Your Home Theater The HDX-PRO has been carefully designed to be compact and aesthetically pleasing for simple and professional home theater integration. 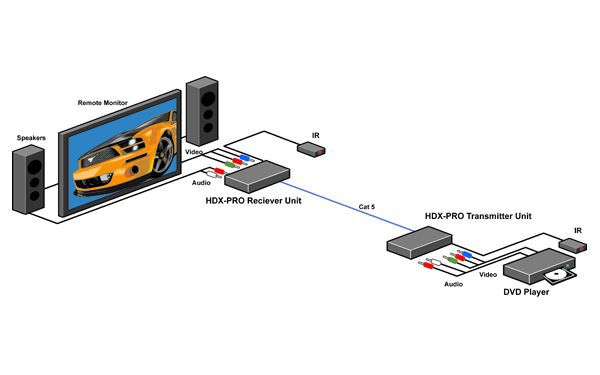 While most home theater systems are relatively compact in component placement, the HDX-PRO makes extending your video and audio signals up to 1,000 feet possible; this is useful in a design that calls for the home theater devices to be set up in a different location, away from the viewing area. In addition to easy signal extension, the HDX-PRO’s IR control support allows for easy system management, giving you the freedom of how you control what’s being viewed and when it’s being viewed, whether from your seat or in another room. Home Theater The HDX-PRO has been designed specifically with home theater integration in mind. 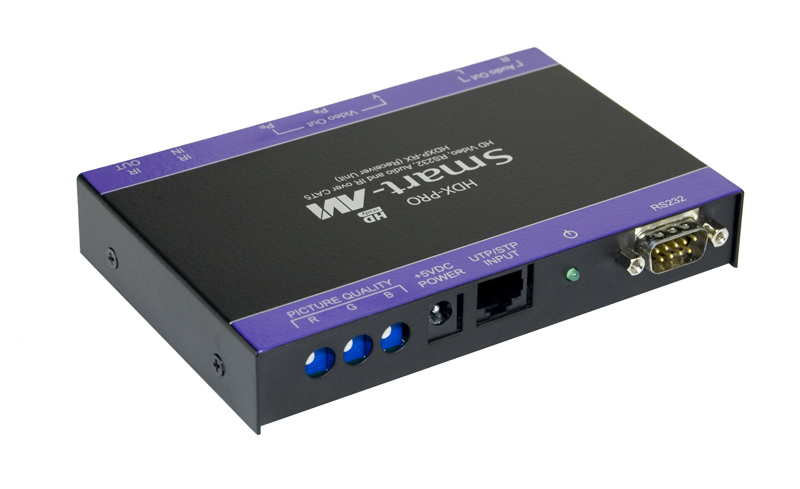 This unit supports high-definition video and stereo audio signals from DVD players, gaming consoles and stereo receivers. Corporate Presentations The perfect A/V signal extension solution for any board or meeting room that features a screen that is used to broadcast presentations to a professional audience. Educational and Professional Training Extend your HD signals into the classroom, training facility or lecture hall from a remote location.